If geek culture had a Mount Rushmore, you certainly would see the prominent chin of Bruce Campbell jutting out next to Stan Lee, George Lucas and Jim Henson. As the star of the Evil Dead trilogy, Campbell has peppered his career with appearances and starring roles in such projects as The Adventures of Brisco County, Jr, Jack of All Trades, the Spider-Man films, The Hudsucker Proxy, The X-Files and Escape from L.A.
For the past five years, he has portrayed washed-up military intelligence operative Sam Axe on the USA Network series, Burn Notice. Tonight, the new season begins at 10pm/9c. Bruce took some time to talk with FOG! about his character and how their lives intertwine. FOG! : Obviously you’ve played Ash (Evil Dead series) again and again, but Sam Axe is the longest you’ve continuously played a single character onscreen. What have been surprises playing a character so long? Bruce Campbell: Actually, Autolycus from Hercules has been longer. I played that ’95 to 2000. So starting Season 5, Burn Notice will tie the record. We’ve been committed for Season 6. So I think once Season 6 rolls around, that’ll be a record. Editor’s note, it might not have been clear in my questioning, but what I meant was the number of screen hours. According to the imdb, Bruce played Autolycus in twenty episodes of Hercules/Xena. As of tonight’s episode, he has portrayed Sam on Burn Notice for 60 episodes. Have there been any surprises playing a character for so long? No, the surprises are that there are no surprises. And that’s the good news, that you get to know a character, therefore it allows you to then play with it. It’s like once you learn the instrument, then you can play with it. So, because you know, you make a movie sometimes and the first two weeks, I want to throw that footage out, because you don’t know what you’re doing with that character. It’s only three, four weeks into it. So I’m actually glad with a TV show, you get to kind of finesse it over time and so do the writers. They get to watch how they – it’s up to them, ultimately. How have the writers made Sam more like you over the years? Well, they sometimes will slip in vernacular that I say or ways that I say something, or if I have trouble saying what they’ve written sometimes, we’ll work with each other to figure out how I can say it. And then once they see how I talk, sometimes they’ll adapt to that, you know? So it’s just practical stuff. Burn Notice airs on Thursdays at 10pm/9c on USA Network. 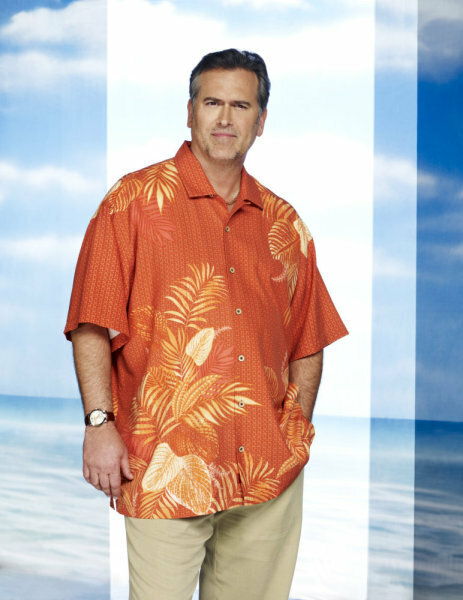 BURN NOTICE Prequel Starring BRUCE CAMPBELL Gets A Premiere Date! BURN NOTICE Prequel Film With BRUCE CAMPBELL Has a Director!